Supporting adidas’s drive to be the number 1 running brand in the UK we have been working on a number of key running destinations. We recently delivered branded concession areas for running specialist Runners Needs in 3 central London locations; Kings Cross, Moorgate and Great Portland Street. The 3 projects ran in tandem and we designed, developed and installed within the same week. The areas boasts many premium touches and effective visual merchandising to entice and engage with the consumer on many levels. 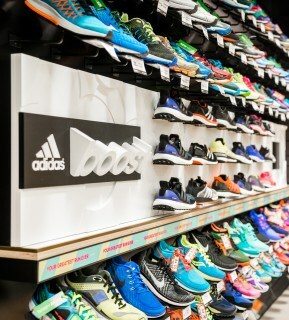 The theme of the adidas shop-in-shop is the new ‘boost’ technology which features in certain trainers and has been taking the trainer market by storm! Within each location we added the main components which were a footwear wall, gait analysis treadmill, window graphics and apparel wall bays. 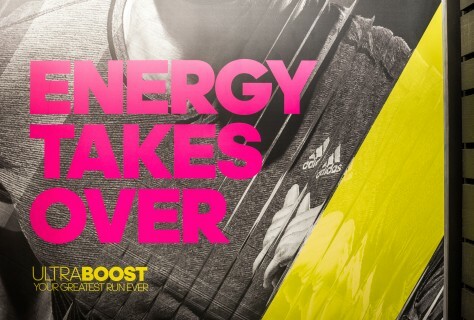 This was all sewn together with impactful, campaign graphics for the Boost trainer launch. 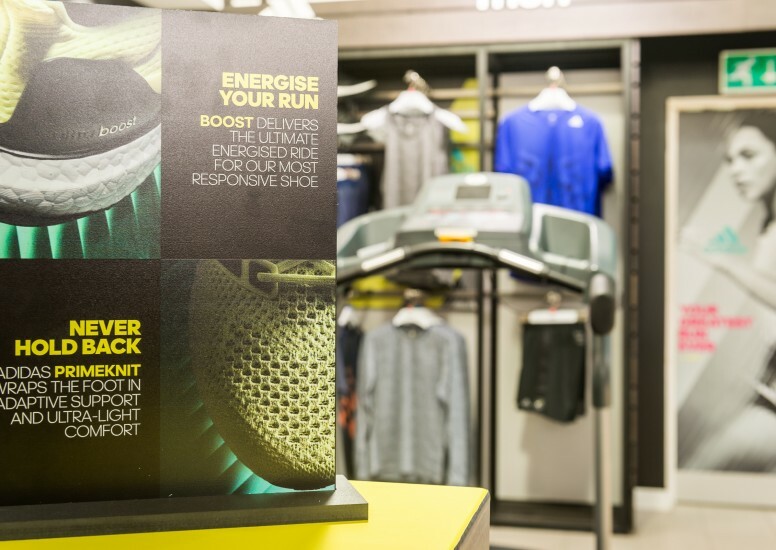 We have been working with Adidas on a number of branded shop in shop areas recently in the UK and Europe with the Boost trainer taking centre stage. Check out our Adidas portfolio to view other projects!